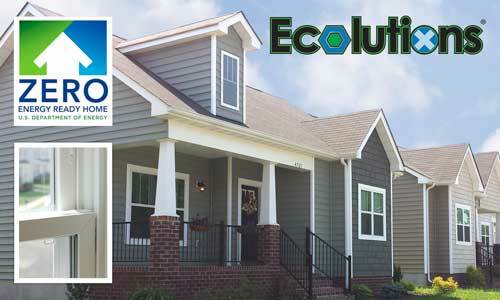 Ecolutions® is VEKA's window and door CROSSOVER™ system. A VEKA Crossover product is an optimized, thermally high-efficient product with unique design features and reduced weight that will expand on the good, better, best scenario that most window fabricators go to market with today. Ecolutions offers the option of a decorative internal muntin system without diminished thermal efficiency by using a 1 1/8" glazing pocket to allow for triple pane IG's. This IG width allows for optimal air space with the highest in thermal efficiency. A 1", 7/8" or 3/4" IG unit can also be used. Ecolutions fills the need for a lower weight, better performing window that can crossover into different markets in order to reduce product SKU’s and lower costs for the fabricator. Dual or triple glazed units can be produced in the same window system for the residential and light commercial markets. 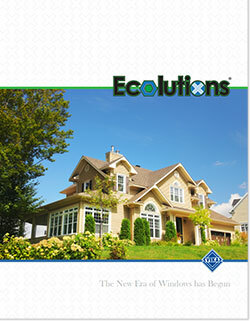 Through years of experience and know-how, and hundreds of product launches, we have optimized the Ecolutions window for exceptional air, water and structural performance without additional cost.